Ceramicists from all around the Michiana area are displaying pieces this fall in the Hershberger Art Gallery in Goshen College’s music center. 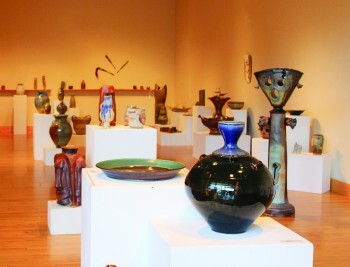 The Michiana Pottery Tour showcase exhibit will be running until November 3, and the reception for the exhibit is5-7 p.m. Saturday. The Michiana Pottery Tour is an annual event in which community members, friends and fellow artists get a chance to see how local potters work and create in their own studios. The tour includes approximately 18 artists and the exhibit will be showcasing from a selection of these artists.